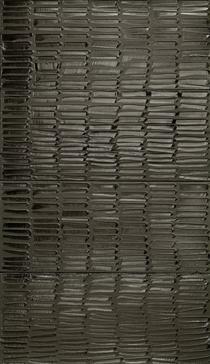 Pierre Soulages is a French painter, engraver and sculptor associated with Tachisme. 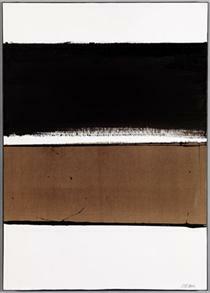 He is known as "the master of black" because of his interest in the colour, "...both a colour and a non-colour. 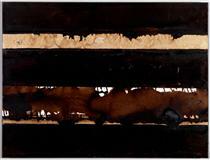 When light is reflected on black, it transforms and transmutes it. It opens up a mental field all of its own". 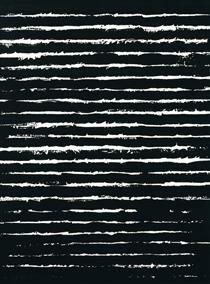 He sees light as a matter to work with; striations of the black surface of his paintings enable him to make the light reflect, allowing the black to come out from darkness and into brightness, thereby becoming a luminous colour. 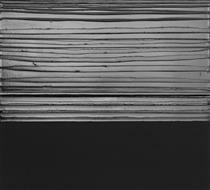 Before World War II, Soulages already had toured museums in Paris seeking his vocation and after wartime military service, he opened a studio in Paris, holding his first exhibition at the Salon des Indépendants in 1947. He also worked as a designer of stage sets. 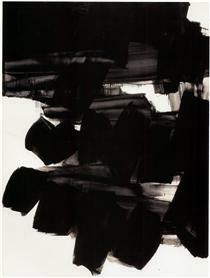 In 1979, Pierre Soulages was made a Foreign Honorary Member of the American Academy of Arts and Letters. 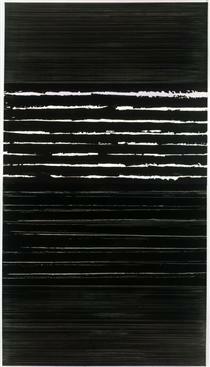 Soulages is the first living artist invited to exhibit at the state Hermitage Museum of St. Petersburg and later with the Tretyakov Gallery of Moscow (2001). 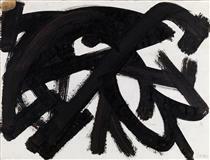 A composition he created in 1959 sold for 1.200.000 euros at Sotheby's in 2006. 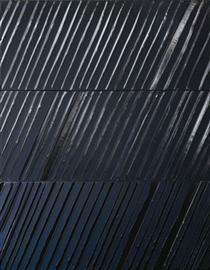 In 2007, the Musée Fabre of Montpellier devoted an entire room to Soulages, presenting his donation to the city. This donation includes twenty paintings dating from 1951 to 2006, among which are major works from the 1960s, two large plus-black works from the 1970s, and several large polyptychs. A retrospective of his art was held at the Centre National d'Art et de Culture Georges Pompidou from October 2009 to March 2010. 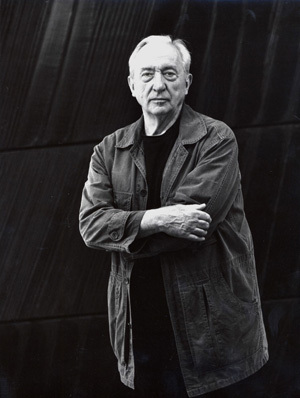 In 2010, the Museo de la Ciudad de Mexico presented a retrospective of Soulages' paintings that also included an interview-video with the painter (Spanish subtitles). 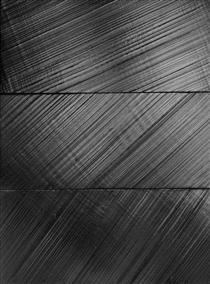 Born in Rodez, Aveyron, in 1919, Soulages is also known as "the painter of black," owing to his interest in the colour "both as a colour and a non-colour. When light is reflected on black, it transforms and transmutes it. It opens a mental field all its own." 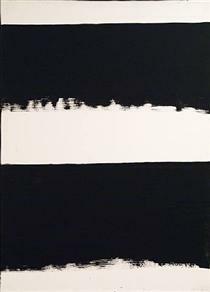 He sees light as a work material; striations of the black surface of his paintings enable him to reflect light, allowing the black to come out of darkness and into brightness, thus becoming a luminous colour. 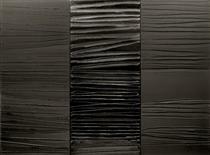 In 2014, Musée Soulages, opened in Rodez, France, Soulages' hometown. 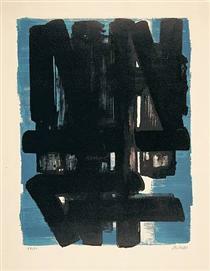 A museum dedicated to permanently displaying his works; plus temporary contemporary exhibitions, Soulages donated 500 works. Made in two separate donations, the paintings represent all stages of his work, from post-war oil paintings to his phase of work called Outrenoir. Together they have formed his most complete display of work from the first 30 years of his career. 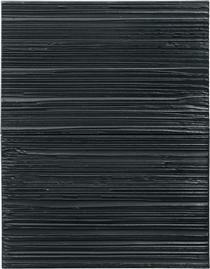 Also in 2014 was Soulages' first American exhibition in 10 years, which was jointly hosted at Dominique Lévy and Galerie Perrotin, New York, in which he presented 14 of his recent works. 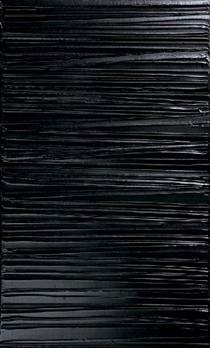 Soulages has said, "My instrument is not black but the light reflected from the black." 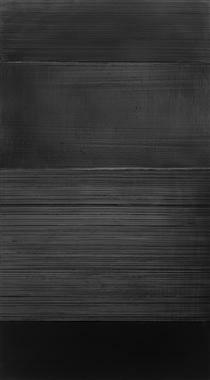 Naming his own practice 'Outrenoir', (Beyond Black) the paintings he produces are known for their endless black depth, created by playing with the light reflected off of the texture of the paint. 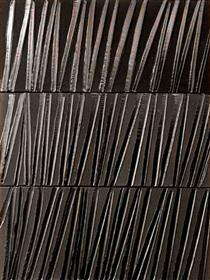 Knowing that he needed a new term to define the way that he was working, Soulages invented 'Outrenoir' to define his practice. Not having a translation into English, the closest meaning is 'beyond black.' In an interview in 2014 he explains the definition of the term, "Outrenoir doesn't exist in English; the closest is "beyond black." In French, you say "outre-Manche," "beyond the Channel," to mean England or "outre-Rhin," "beyond the Rhine," to mean Germany. In other words, "beyond black" is a different country from black."